Die Blöcke für Januar sind genäht, ich habe mich endlich für eine Rückseite entschieden und die Sandwiches liegen bereit, um gequiltet zu werden! 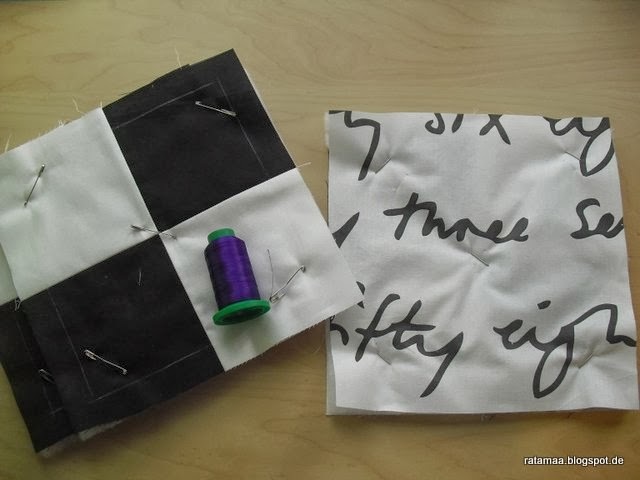 The January’s blocks are sewn. I have chosen the backing and everything is basted and is waiting for quilting! Da ich ja schon Freihand gequiltet habe, habe ich nur die Außenlinie des Blocks markiert. Das kommt dann dabei raus. 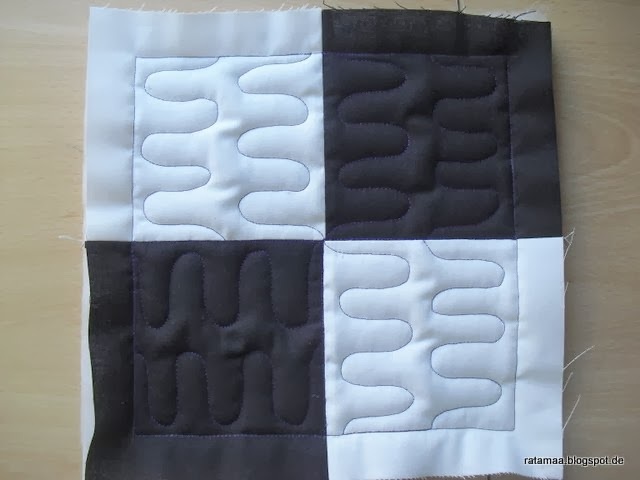 Since I already can a little bit FMQ, I marked only the outline of the block. That’s the result. Seht ihr den Fehler? / Do you see the mistake? Bin schon gespannt auf die Ergebnisse meiner Mitstreiterinnen! I’m already looking forward to the results of the other BBQAs! The story of my life is ripping. I just now finished another block and the tension was off and that seam has to be ripped. Yes, I saw yours, and you did exactly what I would have done. It is worth it in the end. when am I going to have enough nerve to try free motion???? Try it!!! Definitely try it!! So great you have quilted! I really like your backing fabric! Great job with no marking! 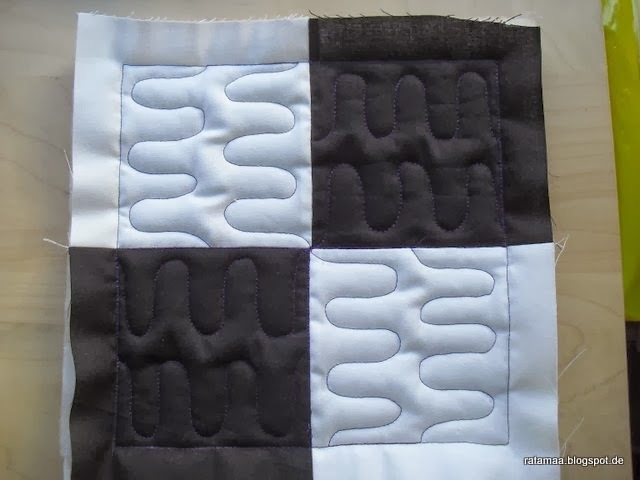 I like your black and white color scheme and your backing fabric. I can't want to see how all your blocks will look together. 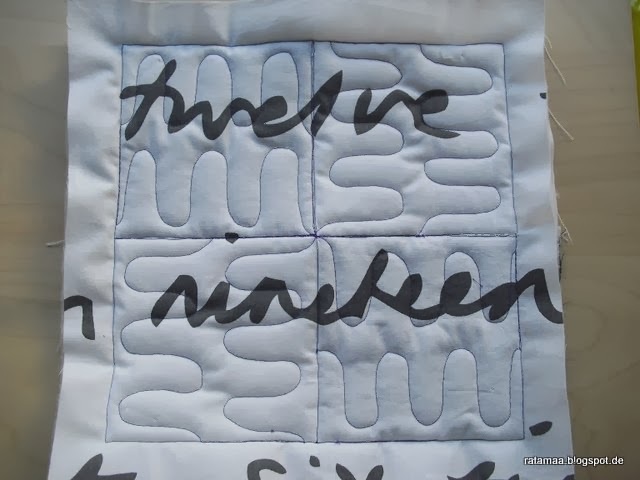 I hope I finish the quilt with Leah and all participants this year!